In this comedy-thriller, Doris is an industrial designer who gets herself into a whole heap of trouble when she sells a secret cosmetics formula to a rival company in Paris. Costars include Richard Harris and Ray Walston. There is a title song, which became one of Doris’ last single releases. Pat Fowler (Doris) , an industrial spy employed by Sir Jason Fox (Edward Mulhare) of Femina Cosmetics, is arrested in Paris for attempting to sell the formula for a new deodorant to a rival firm owned by Matt Cutter(Jack Kruschen). The arrest is actually a ruse concocted by Sir Jason to trick Cutter into hiring Pat. The scheme works, and Pat sets out to steal the secret formula for a spray that prevents hair from getting wet even when under water. The spray is the invention of the eccentric Dr. Stuart Clancy (Ray Walston), Cutter's top cosmetic scientist. 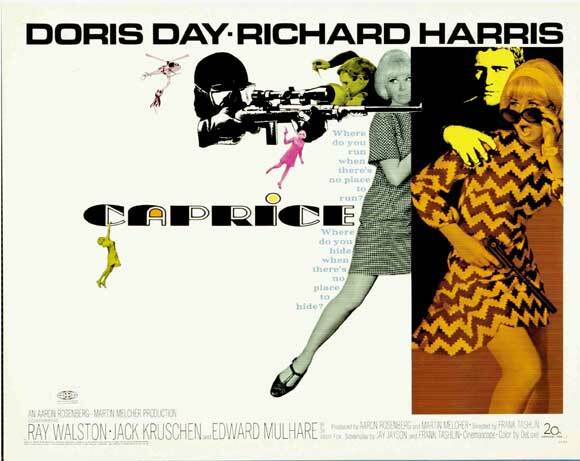 Also involved in the espionage is Christopher White (Richard Harris), a double agent who lures Pat to his apartment, drugs her, and tape records all she knows about Sir Jason's enterprises. He also learns that Pat's father, an Interpol agent, was shot to death on a Swiss ski slope while on the trail of a narcotics ring. Upon discovering that all of Clancy's preparations are actually formulated in Switzerland by his mother-in-law, Madame Piasco (Lilia Skala), Pat flies there and buys a vial of the hair spray from the woman's cosmetics shop. Afterwards, she goes skiing on the slope where her father was killed and is saved from a similar fate by Christopher, who comes to her rescue in a helicopter. Now certain that Clancy is her father's murderer, Pat confides in Christopher and learns that he is her father's Interpol replacement. After uncovering evidence which proves that Sir Jason and Clancy are concealing narcotics in a brand of face powder which the innocent Cutter retails, Pat is trapped by a menacing cleaning woman--Clancy in disguise. Clancy meets his own death when he tries to kill Pat. But Pat is again trapped, this time by Sir Jason, who forces her into a waiting helicopter. Patricia: A spy who came in from the cold cream. Patricia: Were you really with the CIA? Patricia: Sharks don't come in this close to shore. Note: This was the last single release by Miss Day. "In the story, Patricia (Doris Day) goes to see a film starring Richard Harris and Doris Day. According to the marquee outside the theater, it's this one." "Doris Day was needed for the closeups when Patricia is hanging underneath Irene Tsu's balcony. Day remarked that she got splinters in her hands because of this, and that night after shooting she couldn't even change the channel on her TV set." "Informed in 2011 by a film historian that this film had found new favor among film school students admiring the picture's eclectic mix of satire, slapstick and action, Doris Day admitted she hadn't watched the movie in decades and may have to give it a second look." "Along with the concurrently filmed In Like Flint (1967), this was the last movie to be made in Cinemascope. (Most studios moved on to use Panavision for their widescreen formats.) Don Bluth unsuccessfully tried to resurrect the format with his film, Anastasia (1997)." "In her autobiography, Doris Day wrote that when she read this script, she remarked to her manager/husband Martin Melcher: 'Thank God we don't have to do movies like that anymore!' His response: 'We've already made the deal - there's no sense getting all steamed up about it!'" 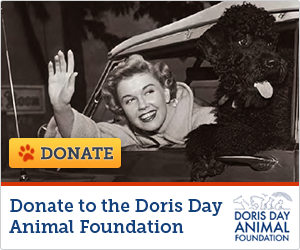 "In her autobiography, Doris Day remarked that this was her least favorite film. She did the bare minimum of promotion for it, to meet her contractual obligations." "Each screen of the opening credits is presented uniquely. The names of the leads appear in speech/thought bubbles of an extra. One page appears gradually as a walkie-talkie's antenna extends. Others fade in, slide in, are pulled from behind walls, appear with different clipart, etc."